Exams, projects, and homework, when graded, are the core of most education curriculums. They help to gauge a student’s progress and learning, and though the best type of assessment is always a hot topic of debate, most would agree that students shouldn’t be rewarded any grades for doing nothing. Apparently, though, there are people who believe that the hands of students should be held the whole way through, even when they do no work – and this is a belief that resulted in the firing of a teacher. 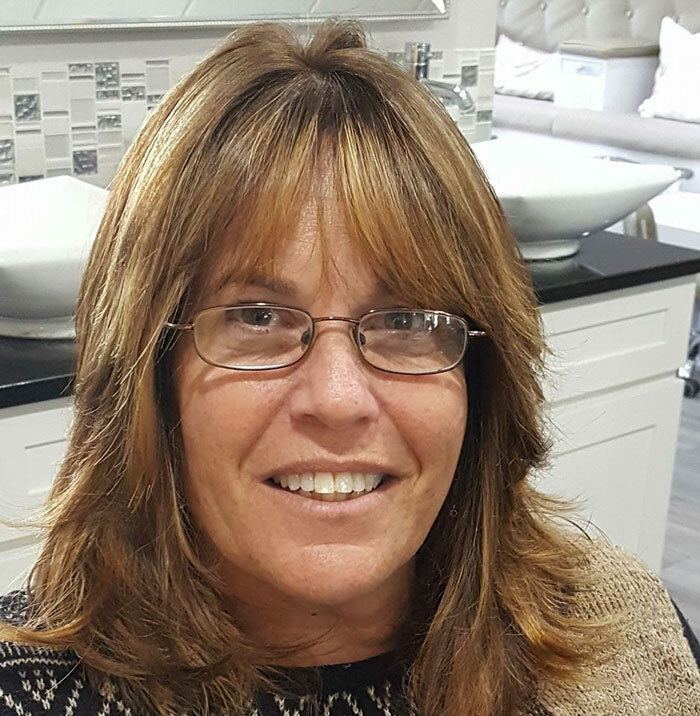 Diane Tirado had spent 17 years teaching students in Florida – Port St. Lucie, to be exact. 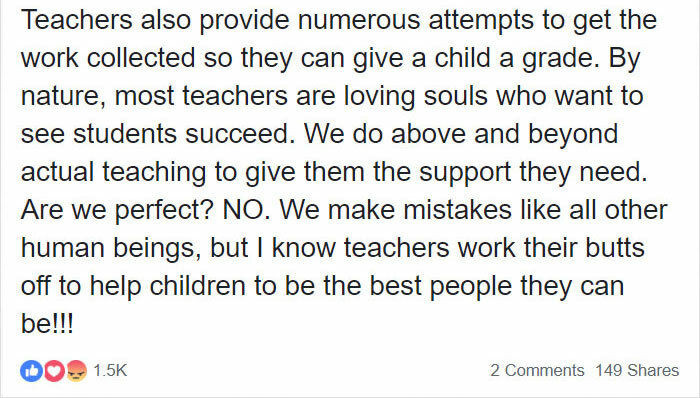 Now 52 years old, this educator is a firm believer that students do not deserve credit for work they simply don’t do, and she was let go from her position in West Gate K-8 School for it. The events that led to Tirado’s firing began when she assigned a Social Studies project to her eighth-grade students. This project was essentially a notebook-based project with an explorer theme, and the students were given a two-week deadline. When the project was due, a few students didn’t turn in any work at all, so Tirado gave them 0%. After all, she states, if there is no project submitted, how can it be graded? 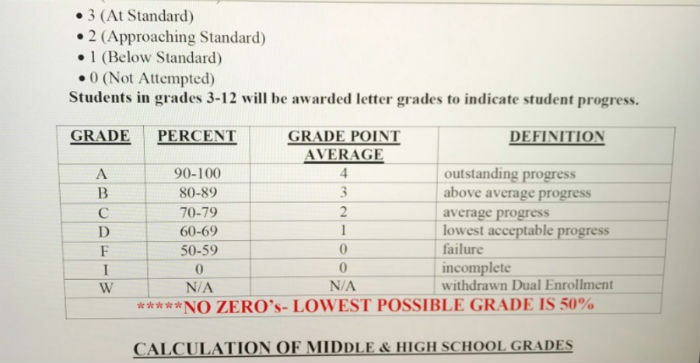 But the school in question has a rather odd policy called the “No Zero” policy, which essentially states that the lowest possible grade a teacher can give to any student is 50% – no matter what. This policy is included in the grading outline that all teachers have and is highlighted and in all caps. Tirado was informed of this policy by the school’s administrators. She refused to comply, stating that the policy didn’t make any sense. 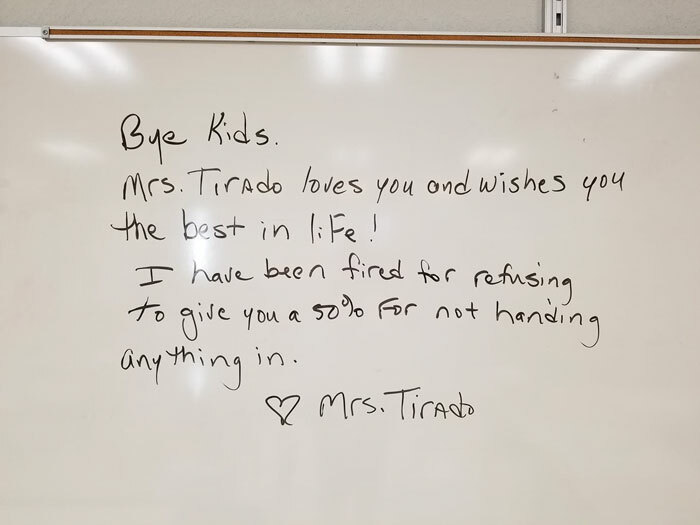 This let to Tirado being fired on the 14th of September, 2018. 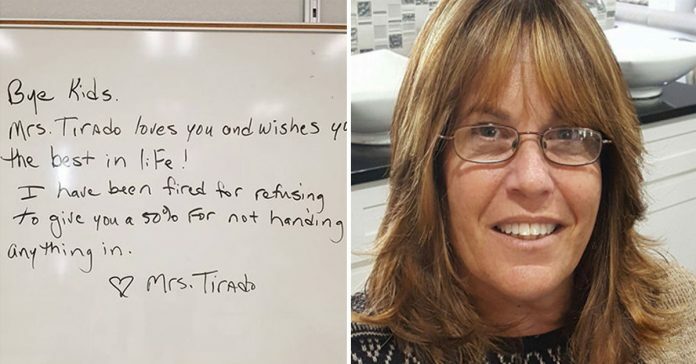 Her final goodbye letter to her students was written on the classroom whiteboard, explaining why she was fired. She wished the students all the best and added that she loves them all. Since her employment was terminated, Tirado has asked that the school rethink their decision to implement this strange No Zero rule. In her opinion, it is pure spoon-feeding and teaches students that they will be rewarded and still receiving something in return for putting in no effort and doing nothing. What’s even weirder is that this is far from the only school with this policy. These types of rules raise concerns on the way students and children are being raised. Especially as it might teach them that doing nothing is acceptable and that the option of not working hard is always available to them; all they have to do is show up to reap rewards. Tirado doesn’t believe this is right. According to the school district’s chief information officer, Kerry Padrick, there is no district policy that prevents students from receiving zeros from teachers. The Uniform Grading System utilized allows for all grades ranging from 0 to 100, all letter grades ranging from A to F, and GPAs ranging from 4 to 0. 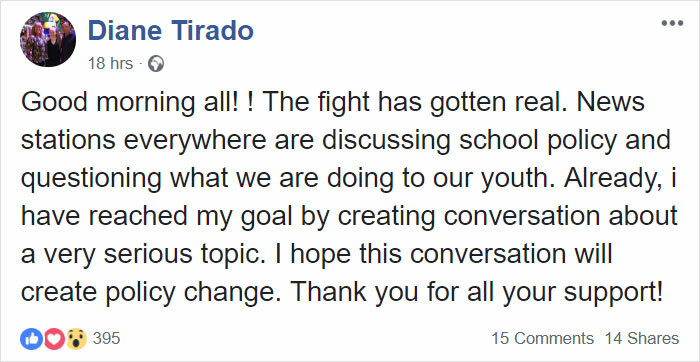 As of yet, there is no word on whether Tirado’s former school will be rethinking their policy.